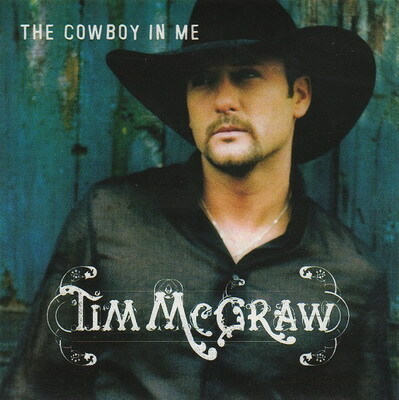 HomeRetro Single ReviewsRetro Single Review: Tim McGraw, "The Cowboy in Me"
Retro Single Review: Tim McGraw, "The Cowboy in Me"
More importantly, I don’t get it and the song isn’t interesting enough to make me want to get it. “The Cowboy in Me” might be an amoebic form of the country lifestyle anthems that have flooded the genre in the years since it was released. It’s certainly subtler and more refined than what’s come out since, and McGraw’s hit doesn’t include the head-pounding loudness that sinks so many other “country” anthems. But it’s like they wanted to write a song about having a short temper and being restless, and they couldn’t come up with a more interesting way to do it, so they use the cowboy archetype as a shorthand reference. This despite the fact that you could replace “cowboy” with “Jersey Shore” and it would still work, so what’s so cowboy about it, anyway? commenter made a strong case that “Grown Men Don’t Cry” was a defining moment in the suburbanization of the genre and its growing disconnect from the life of the working poor. “The Cowboy in Me” came along well after the ampersand and the Western were dropped from Country Music, but it really does demonstrate that the genre has as much relevance to cowboys these days as a Marlboro ad. Single Review: Darius Rucker, "True Believers"
You say “so what’s so cowboy about it, anyway?” Good point – which I didn’t think of when the song was a hit but part of my failure to see was because of my indifference to it. Being short-tempered and even restless has nothing specifically to do with being a cowboy. The guy could just as easily be a hell’s angel. I like it, but I don’t love it. ‘B’ is a good fair grade. What I also don’t get is how this song still has a shelf life on country radio as a recurrent. He has certainly released more profound material, and material that is more sonically pleasing. It’s reason #6235 that I just don’t understand what’s going on at country radio. I’d probably rate this one as a C+ or C just because it does absolutely nothing for me when it’s on. I won’t change the channel, but I’m not singing along either. If a shoulder shrug constitued a grade, that’s what I’d give it. On a stellar album, this was more a song to just get through so I could enjoy the first solid cut “Telluride.” (I’ve said it before and I’ll say it again…”Telluride” should have been a massive hit, and the fact that it charted in the 50s without even being a single is proof.) I never understood why “Cowboy” opened Set This Circus Down, but a lot of people must have been just fine with it, since it was another #1 hit. While I do see what everyone is saying I still think this is a good song. It’s not his best single but it certainly isn’t bad. I always thought the reason people connected with it is because most people feel like they are their own worst enemy. …i just love this song. then again, i’m also a total sucker for “don’t take the girl. i absolutely agree that it would work with “jersey shores” too – universally flawed like most of us, i could think of worse metaphors to illustrate some of my shortcomings than “cowboy”. on top of everything this melange of accustic guitar, fiddle, a grain of steel and those heavy riffs at the end – marvellous stuff. I think Tim is using the term “Cowboy” very, very loosely here, and that’s fine with me. I like the song, and its my favorite single from the “Set the Circus Down” album. (I never cared for “Unbroken” or “Grown Men Don’t Cry,” though I did like “Angry All the Time”). For me, Its easy to see why this one still gets lots of recurrent airplay. We’ve reached a point where there are really two Old Wests: the real and the imagined, and both have become equally legitimate topics. I think of the movie, Silverado, which exists more to celebrate the Western movie genre than to actually represent the real setting. Does McGraw sing of an Old West cowboy? If so, which: Real Old West or Pop Culture Old West? Or is he alluding to a modern day ranch hand somewhere? I give him a pass for the ambiguity of this since that’s a much broader issue for storytelling in all media from song to film, from literature to stage, from painting to comic. Until that point, I could buy the song as (somewhat bombastic) introspection. It’s in the first person, so there shouldn’t be any question that we’re invited to share in the introspection and identify with McGraw anyway. Why, then, that shoehorned “HEY! YOU CAN BE PART OF THIS, TOO!” invitation at the end? Were the writers seriously concerned that maybe somehow the song was so subtle we wouldn’t realize it could be about us, too? Them’s the makin’s of a decent song. I like the sound of it too, for some of the reasons Kevin highlighted in the review, plus I think it has an enjoyable melody. The lyrics definitely don’t withstand a whole lot of scrutiny though. I always loved this song, but never really thought much about the lyrics. I just really like the sound of the chorus, to be honest. I almost found the Cowboy reference more imagined than real. Like he’s trying to sum up his flaws so latches onto the cowboy concept as a way of romanticizing it. Most of all though this song just proves what a great melody and unintrusive production can do for a song. I think that’s what’s kept it so relevant as a gold cut. It sounds so good that you remember it better than it actually is. Regardless of whether or not he’s released better, this is one of my favorite Tim Mcgraw songs, and it captures the essence of country music more than his recent stuff like “felt good on my lips”.